In recent years, an impressive number of tech startups have emerged from London’s burgeoning tech scene. The city hosts nearly 5,000 active tech startups with a combined value of £34 billion, making it a lucrative market for the world’s largest private equity firms and investors. Host to innovative tech hubs, attractive tax incentives, and renowned accelerator programs, it’s no wonder that London’s tech startup community has grown by nearly 40 percent since 2012. "The record level of investment in Britain's tech sector is proof that the UK is well on its way to becoming a world leader in digital technology innovation," said Gerard Grech, Chief Executive of Tech City UK in a recent interview. "These numbers are testament to the skillsets and the increasingly strong digital clusters across the UK, coupled with improving policy conditions." As London’s tech community continues to evolve, so too does the work environment and coworking scene. With access to exclusive resources, collaborative partnership opportunities, and growth-oriented programming, London’s startups and entrepreneurs are able to experience a new breed of coworking space that have evolved to support the world’s leading tech innovators. Let’s take a look at some of the newest innovations and offerings from the UK’s top coworking spaces. In a market as competitive as the UK’s, desk space simply isn’t enough to attract startups. Today, London’s tech startups can find a variety of exclusive members-only programming, partnership opportunities, accelerators, and a like-minded community of leading innovators, entrepreneurs, and investors. Workplace communities serve an important role: they give entrepreneurs an opportunity to connect and share valuable experiences, advice, and tools integral to business success. Insightful workshops, panel discussions, and talks with thought leaders allow members to unlock powerful tools for innovation, share new ideas, forge meaningful partnerships, and cultivate a feeling of connectedness and community. "Rainmaking Loft encourages collaborations between members through quick sit-downs in the Club, whiteboard meetings, community events, and more purposeful meetups." London's coworking scene has evolved from a desk where you drop your things off. Today, entrepreneurs can work from just about any coffee shop with WiFi. Niche coworking spaces provide the go-to amenities tech startups need on a day-to-day basis and the peers, network, and support structure to scale. Today, many coworking facilities in London pride themselves on connecting startups with the world’s most successful businesses and organizations. The insight and guidance that these business leaders offer startups, especially early-stage companies, serve as an invaluable asset on the path to growth. Through these partnerships, members have access to experienced business leaders, and get the resources and tools needed to solve challenges and scale quickly. 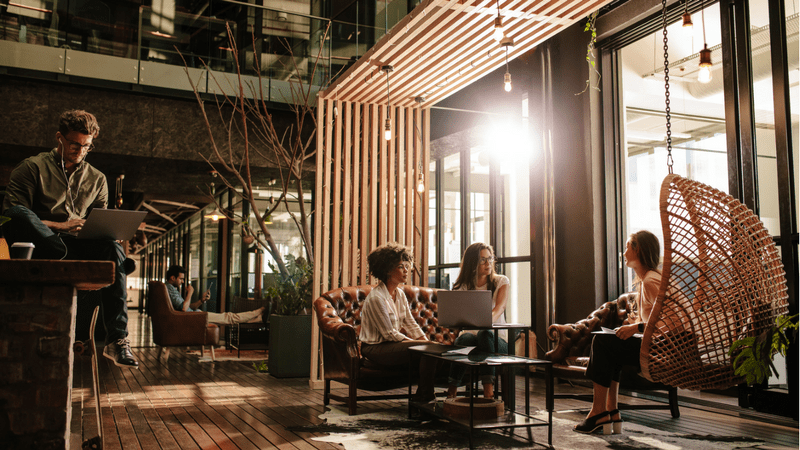 With London coworking spaces now offering connections to key corporate partners, coworking has surpassed the original scope of its role as just a shared office space. Learn more about our tech campus ecosystem and unique programmes like corporate partnerships. Get The London Coworking Kit. Say goodbye to stuffy office dividers and drab beige walls. Today's London coworking scene offers some of the world's most modern amenities. With access to dry cleaning, gyms, yoga studios, beer on tap, and well-stocked kitchens, coworking can provide all of the amenities a startup could ever dream of. Add to that access to ergonomically-designed work stations, lounges ornamented with inspiring art work and sayings, plus various styles of conference rooms, phone booths, and event spaces, and teams have the luxury of working from state-of-the-art, invigorating environments. Additional services such as reception and mail distribution, plus super-fast internet and unlimited printing, take care of necessary admin so you can focus on activities that move the needle for your company. Some coworking spaces (including RocketSpace) even have a nap room, so you can recharge, relax, and return to work feeling refreshed. Today, coworking in London is much more than rent-a-desk. With modern amenities to maximize productivity, boost creativity, and inspire growth, a next generation of coworking spaces has evolved to meet the demands of London's growing tech scene. Connecting with like-minded experts and entrepreneurs fast tracks your tech startup to success. More and more coworking spaces in London are becoming exclusive to particular verticals and sectors. Joining a community can help industry-specific tech startups create hyper-focused strategies to enhance their businesses, attract new customers, and develop next-generation technologies. At RocketSpace, we believe that young companies are like young people; they're a product of their environment. Backed by a specially curated community of industry experts and innovators, tech startups are fueled by their peer's passion and relentless pursuit for innovation. Surround your company with the best tech talent, and it will undoubtably grow. "At RocketSpace, you have this tremendous resource in other founders who are going through the same things you are," says Co-founder and CEO at MapD, Todd Mostak. "You also have access to talks with really impressive people such as the CMO of Slack or the Founder of Trulia, and exposure to all of these potential clients through RocketSpace's Corporate Innovation Services." Together, members share ideas, learn from one another, and tap into our top-notch network during insightful events, panel discussions, and hands-on workshops. With access to world-class corporate partners, they're able to leverage industry know-how to immediately boost results. 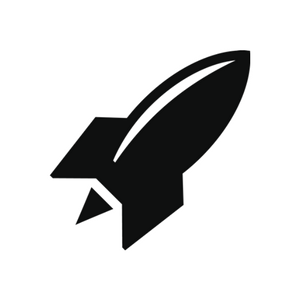 The curated community provide the speed, direction, and velocity needed to take your tech startup to the next level. The biggest change in the coworking scene in London is the realization that tech startups don't just want another place to work, they want a place to thrive. Today's coworking spaces should facilitate this growth. Through valuable programming, corporate partnerships, modern amenities, and a specially curated community of startups, entrepreneurs, and investors, RocketSpace supports some of the leading minds in tech and digital innovation. At RocketSpace, tech startups can connect with the world's brightest tech innovators, entrepreneurs, and investors during weekly events. Host to the world’s top workplace amenities, RocketSpace supports creativity, productivity, and innovation through highly customized, next-generation facilities. 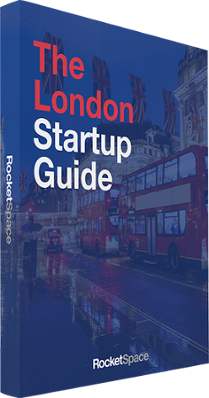 At RocketSpace, discover a world-class tech hub that continues to change the face of coworking in London. Is coworking in London right for your tech startup? Join the ultimate tech ecosystem of industry leading tech entrepreneurs and discover the velocity, speed, and direction needed to take your startup to the next level. Grab a free day pass, come for a VIP tour, and see if RocketSpace is the right ecosystem for your tech startup.